The information presented on this page was originally released on April 22, 1996. It may not be outdated, but please search our site for more current information. If you plan to quote or reference this information in a publication, please check with the Extension specialist or author before proceeding. MISSISSIPPI STATE -- All parents want what is best for their children. However, media reports of child care provider abuses make it difficult for many parents to trust someone. Whether parents choose home-based, family, group or center-based child care, they need to learn how to look, listen and ask questions when seeking the best caregiver. 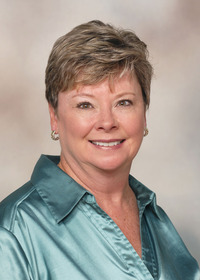 Dr. Louise Davis, extension child and family development specialist at Mississippi State University, said one of the most important qualities a caregiver should have is interest in the child. "The person should communicate with, become involved with and be available to the child," she said. Davis stressed that quality child care means having someone who is reliable. "They should be someone you can count on," she said. "People who call the night before and say they won't be able to take care of your child tomorrow are not reliable." But, sometimes even reliable people have days when they just aren't able to care for the child. Dr. Jan Cooper Taylor, associate professor of human development and family studies at MSU, recommended having a backup plan. "If a caregiver gets sick, parents often have to make other plans. Many times, if they have no backup plan, the child has nowhere to go," Taylor said. Quality care also should include a clean and safe environment for the children. "Safety is a big factor. All poisons and drugs should be under lock and key. Access to stairs, the kitchen and other dangerous areas should be closed off and play equipment should not have any sharp corners," Taylor said. Supervision of the child is another thing parents should look for when choosing a child care provider. Caregivers should have planned exercises for children each day. For preschoolers, activities include, reading, telling stories and singing songs. Whichever care option parents choose, they should investigate the caregiver or the center thoroughly. A license is important if the caregivers work with more than six children. "Parents considering a family child care home or a center-based facility should ask to see the license which should be clearly displayed," Taylor said. "A license means the program meets minimum health and safety standards required by the health department." The first step parents should take is to sit down and talk about what they want and value for their child. Then, they need to visit and interview different care providers. "Ask them a number of questions -- toilet training, costs, safety, television rules, napping and discipline are only a few things that are important to know," Davis said. "The next step is to observe the child care setting. Spending a few hours or even a whole afternoon with the provider is not inappropriate--it gives you a more in-depth look at how the caregiver interacts with children." Finally, ask for references or talk to other parents who are familiar with the provider. If answers seem hesitant or uneasy, there may be potential problems. Davis said although it takes time and a thoughtful organized search to find quality child care, parents ultimately must approve and be comfortable with the care the child receives. "Parents must expect the best, want the best, and demand the best care for their child," she said.